Summertime is best spent by the pool, picnics at the park, beach trips, and family vacations. But keep in mind, along with all of the summers’ delights, it brings the heat, humidity, and dangerously oppressive temperatures! 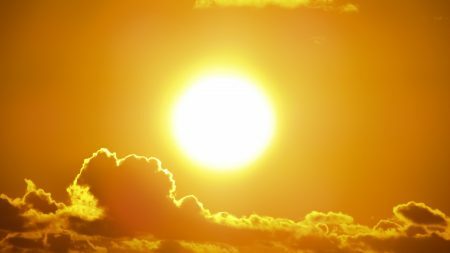 Too much heat exposure can cause several heat-related illnesses such as heatstroke, heat exhaustion, heat cramps, and even death. According to the National Safety Council, heatstrokes are among the leading causes of death in teens, young adults and the elderly. This is due to excessive heat exposure during work, practices, and sporting events outdoors. Drink Water, Stay Hydrated. As you lose water from sweating, your body temperature rises, so replacing these fluids is essential to keeping cool on hot summer days. Water isn’t your only option for staying hydrated. Eating fruits and vegetables with high water content, such as cucumbers and berries can do the same thing. Take Breaks. Taking multiple 5-10 minute breaks to find some shade or air conditioning during your outdoor run, practice or work schedule helps your body cool down and lower its temperature. By doing this, you rejuvenate your body to get the job that you started done. Dress Light. Wearing light colors and breathable fabrics like cotton or linen, especially on scorching hot days lets your body and pores stay cooler. Whatever your plans may be on a summers day, remember that the heat can do some damage. By following our preventative measures and being prepared, we can help you beat the heat this summer! Did you know? Earth Day Facts! Many communities across Middlesex County will be hosting events celebrating Earth Day. Stream and lake clean-ups, community shredding events, and tree planting are just some of the events happening this weekend. The first Earth Day was celebrated on April 22, 1970. On the very fist Earth Day, 20 million people gathered in the streets of America to protest the industrial revolution. An environment movement was born as a result. One result of the first Earth Day was the creation of the US Environmental Protection Agency and the Clean Air Act. Dennis Hayes took Earth Day international in 1990. It is believed that it’s now the largest secular holiday in the world. In 2009, the United Nations renamed Earth Day as International Mother Earth Day. In 2018, it is predicted that Earth Day will be celebrated by more than one billion people world wide. Will you be one of those billion? My Favorite place to Bike or Walk! Walking and biking are fun and healthy ways to get around when it’s done safely. KMM encourages 3rd graders across Middlesex County to walk or bike to school, to the park, and wherever you go! Here at KMM, we are sponsoring a bookmark illustrating contest for all Middlesex County students in the 3rd grade to create a bookmark that best embodies the theme My Favorite Place to Walk or Bike. Winner of the contest will receive a $100 gift card from Provident Bank and the illustration will also be printed and distributed to schools across the County. For more details and to enter, Download the Form and mail it back to our offices. All entries must be postmarked by March 24, 2018.